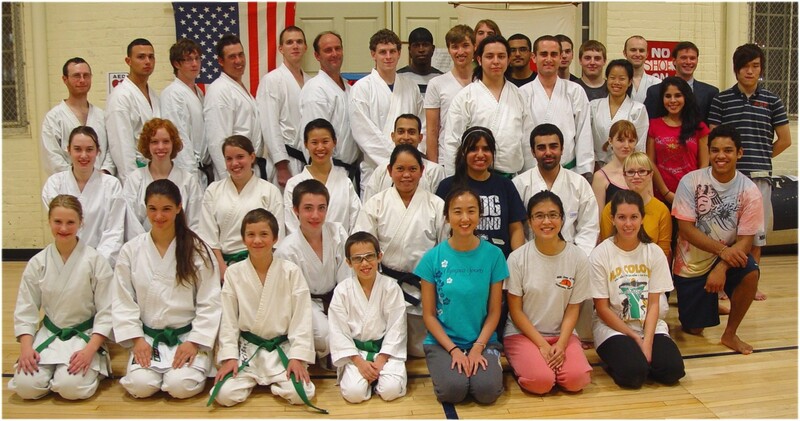 UConn Karate Club class photo, October 13, 2010. Front row: Alex Jacobs, Katelynn King, Mikey P-B, Liam Boyce, Shu Wan, Sabella Salim, Liz Cronin. 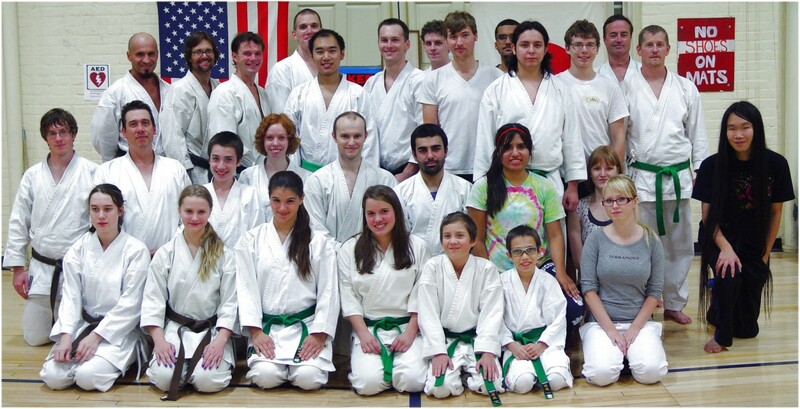 Second row: Brianna Boyce, Tarah Eisenhauer, Krissy P-B, Susie Huang, Eva Forrest, Muhammad Arif, Keila Garrido, Ramin Amiri, Kirsten Crowley, Veronika P., ?. Standing: Nick McIntosh, Jeremy Rosa, Hugh Cassidy, Brian Boyce, Joe Dowden, Tom Hine, Kellen Brine, Eltwaun Lawrence, Andrew , Rudy Cepeda, Paul Harris, Giovanni Hiranda, Marius Nicolae, ?, ?, Tiffany Hoang, Mike Jacobs, Miriam Zanelli, Ryan Jacobs, Jack Ren. Front row: Brianna Boyce, Alex Jacobs, Katelynn King, Krissy P-B, Mikey P-B, Liam Boyce, Veronika P.
Second row: Hugh Cassidy, Brian Boyce, Aidan Boyce, Tarah Eisenhauer, Mike Jacobs, Ramin Amiri, Keila Garrido, Kirsten Crowley, ?. Back row standing: Rob Terlikowski, Mark Rollins, Ryan Jacobs, Joe Dowden, Will Chan, Val Gorbatyuk, Kellen Brine, Andrew , Giovanni Hiranda, Rudy Cepeda, Dan McCulley, Bob Jacobs, Pete Dunnack. 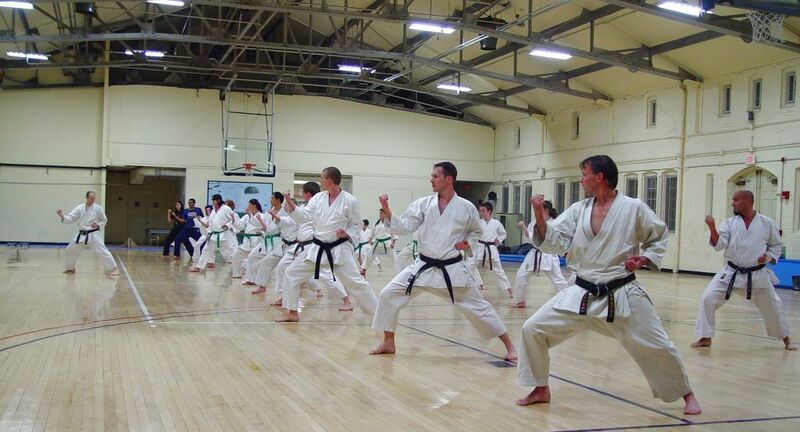 Sensei Mike leads the class in basics.